T. Hello, welcome to Pinnacle Writing. Good to meet you. Tell us a bit about yourself. J. I was raised in various cities and countries, never staying anywhere too long. I moved to Hong Kong at the age of 5, which I loved. Those were the happiest years of my childhood. Whenever I get the opportunity to go back there, I fall in love with that country and its people all over again. Every time. I studied Politics and International Relations at the University of Kent. You’ll notice it isn’t especially vocational, particularly for a writing career, especially when you consider that I never have and never will write anything from a political standpoint. I chose it because I had enjoyed modern history in school and didn’t believe a writing career was a realistic possibility – there are only so many JK Rowling’s in the world. It was only after University that my then-boyfriend (now-husband) encouraged me to chase my dream. It was the best thing, although perhaps not the most romantic thing, he’s ever said to me. I’m now settled with him and our two wonderful kids (and, currently, 26 fish) in Germany. J. I have absolutely no idea. I was helping my mum clear out her attic last year and we found a load of little stories I’d written when I was about nine or ten, I guess. I’m not sure. I seemed obsessed with the plight of a little red tractor and had, appropriately, named the series of little books “The Little Red Tractor”. I know I did a lot of writing in secondary school. I dreamed up the idea that was basically the story of “But You Can’t Hide” during those years. Around the age of 15, I remember visiting the local Police Station and bombarding a hugely patient and understanding policeman with a whole range of questions pertinent to the story. Twice during this interview he checked with me that I wasn’t actually planning on doing any of this. The story ended up being too big and I decided to write the latter half, which became “But You Can’t Hide”. I have never written the prequel. J. No. I’ve never had one. I just got on with it blindly going in and putting pen to paper without really knowing what I was doing. Writing is an urge. It doesn’t matter if I’m any good. I wouldn’t be able to stop myself from doing it. 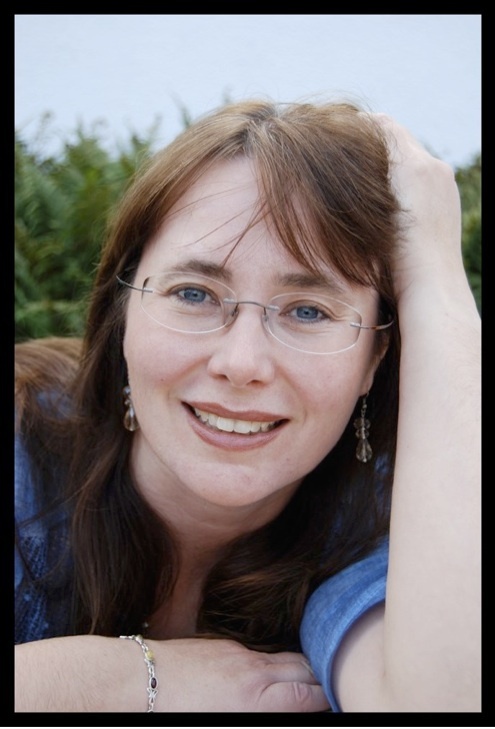 I will say though, in the last few years, I’ve met another writer (just the one, I’m afraid), and it’s marvelously inspirational to talk to her and bounce ideas off her. T. Please tell us about your current book. What is the genre? Give us a thumbnail sketch. 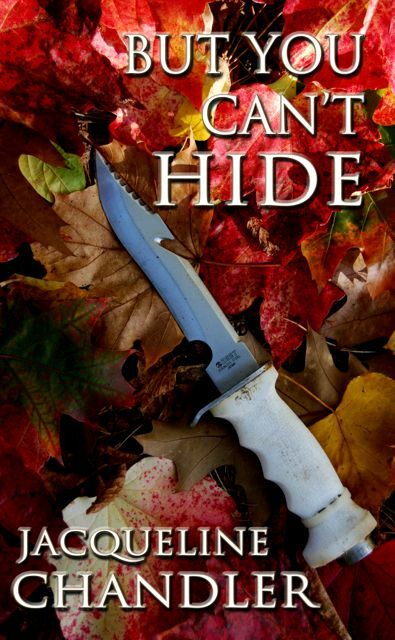 J. It’s called “But You Can’t Hide” and is available on Amazon (both in paperback and Kindle format) and Kobo. I affectionately refer to it as a trashy thriller. It’s the sort of easy-read book you would buy in an airport to read on holiday for a few hours escapism. It’s not meant to be literature. It’s meant to be fun. Private detective Stuart Finlay is looking for a girl. He has a photo, a name and a clue to her location, but the girl appears to be a homeless runaway and few people notice the homeless. His investigation leads him to Katherine, who is neither homeless nor a runaway but is a dead ringer for the girl in the photo. Nothing matches what he’s been told though and it’s clear to him that someone, possibly even his own client, is lying. Despite the physical similarities, Katherine doesn’t seem to be the one and Finlay is out of possible leads. His client continues to push and Finlay comes to realize that he isn’t the only one looking for this girl. Brutal killers, thinking Finlay has already found his target, hunt him down in a quest for answers but Finlay doesn’t know anything. As they start to look at Katherine, Finlay risks everything to try to convince them she isn’t the one. Laden with guilt, Finlay is forced to watch as, bit by bit, Katherine is made to lose everything. He’s desperate to help her, but the killers are holding something over him, something Finlay will risk dying for in order to protect. If she can’t get away, Katherine may be forced to make the same sacrifice. T. Do you have a sequel or prequel in mind or works in progress? J. I didn’t, until people read the book and asked me what was going to happen next. I ended up coming up with a sequel. The working title is ‘Betrayal’. That title has been done to death, so it will be named something else but there is much debate at the moment as to which title I might go for. The current favorite seems to be ‘When They Find You’ but I personally prefer ‘Dead End’ as an alternative. Other than that, I have seven other novels that I’ve been playing with over the years that cross into the genres of sci-fi, fantasy, and romance. I’m itching to get back to some of these once ‘Betrayal’ is done. J. I’d love to say that I write by the seat of my pants just because it sounds so daring. But I don’t. So I won’t. I start with mind maps – those sprawling diagrams which start with a bubble in the center of the page and then has various arrows coming off it. I use the mind maps to decide on the motivations of my characters, the events in the book which affects them, and their reactions to the events (and how that affects other characters). It’s really important to me to work out what my characters want to achieve in the book (even if it’s as simple as ‘get the girl’ or ‘stay alive’). As much as possible I try to get these motivations to clash with the actions of as many of the other characters as possible and then I let them battle it out to see who gets what they want (or near to it) by the end. Once I have this in my head, I do a chapter plan which details what happens in each chapter and who the ‘point of view’ character is – whose eyes we see that chapter through. Eventually, as it gets bigger, the chapter plan becomes the book. T. What are your ideas about the future of digital publishing compared to paper books? J. I can’t deny the practicality or cost-effectiveness (not to mention ecological benefits) of devices such as the Kindle. But honestly, I’m an old-fashioned kind of girl. I like the feel of holding a book. I need to have it in my hands. It’s a preference. J. Nothing I can think of. Like I said, brevity is not my strong suit, so you’ve probably got it all. If any of your readers do ever decide to give the book a try, if they could please review it on Amazon I’d greatly appreciate it. It’s hard for an unknown author to get anywhere without reviews on Amazon. And, they should know, if they decide to read my book, that I really am a very happy, well-adjusted person. Thanks so much for this opportunity to ‘chat’. It’s my first ever interview, so quite a big deal for me. T. Thank you for visiting. It’s been a pleasure to meet you. Jackie’s website is www.JacquelineChandler.com Take a look.